Indian opener climbs to fourth on the batting charts after a Player of the Series performance against England. Smriti Mandhana broke into the top five and climbed to fourth spot with a career-high 678 ranking points in the MRF Tyres ICC Women's ODI Rankings for batters following a consistent run this year. 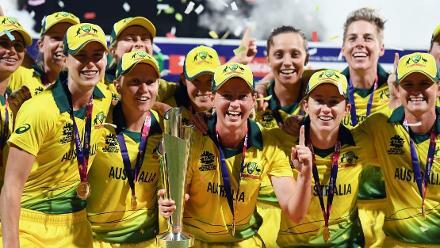 She rose 10 places in the rankings announced on Friday 13 April, after her Player of the Series performance in India's 2-1 victory over England. Mandhana made 181 runs in three matches at an average of 90.5 and was by far the best batter on either side. Her scores came at a strike rate of 77.68, and she struck 14 fours and five sixes – more than any other player in the series. Her attacking approach and ability to stay back and pierce the gaps have been invaluable at the top of the order for India, even as their other batters have struggled. 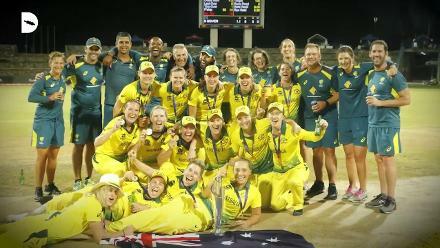 The left-hander has been in stellar form all year since India began their ICC Women's Championship campaign in February, thriving in the seam friendly conditions in South Africa while also improving her record at home, against the likes of Australia and England. She has notched up a remarkable 531 runs from nine ODIs with a high score of 135 and five half-centuries this year. Yet, the 21-year-old insists she has unfinished business. 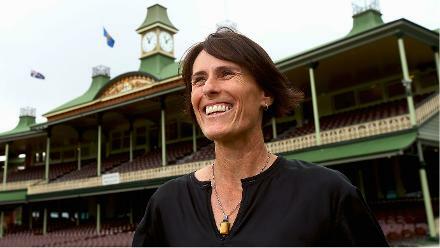 "Lots to learn yet," she said after the India-England series. "I have been getting out a lot in the 50s and 60s, sometimes in the 80s, so that is something that I have to look back and try to convert those into 100s." 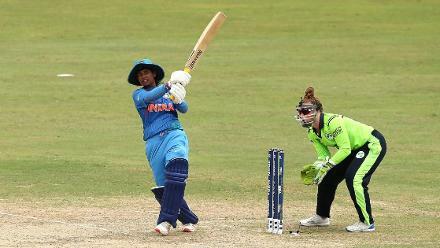 Also making strides up the charts was India's Deepti Sharma, who rose eight spots to 16th with a career-best 560 ranking points after finishing second on the runs table with 104 for the series. The left-hander who bowls off-spin, in fact, put in a strong all-round performance, which saw her rise 10 places to 14th on the bowling rankings. 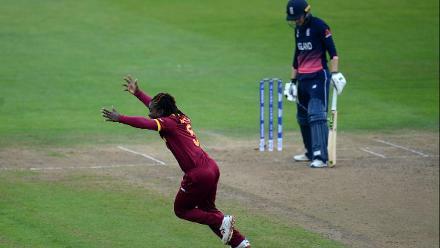 She also claimed third place on the MRF Tyres ICC Women's ODI Rankings for all-rounders behind Ellyse Perry and Stafanie Taylor. For England, Danielle Hazell, who picked up six wickets at an average of 16.33 and proved to be Mithali Raj’s nemesis, was a big gainer. She climbed 16 places to 12th on the bowling charts, with a career-best 553 ranking points. 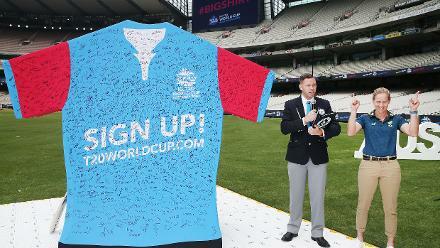 The big-hitting Danielle Wyatt, having proved how dangerous she could be in T20 cricket, posed a threat at the top of the order in the one-day format as well, and jumped 17 places to 42nd among batters. 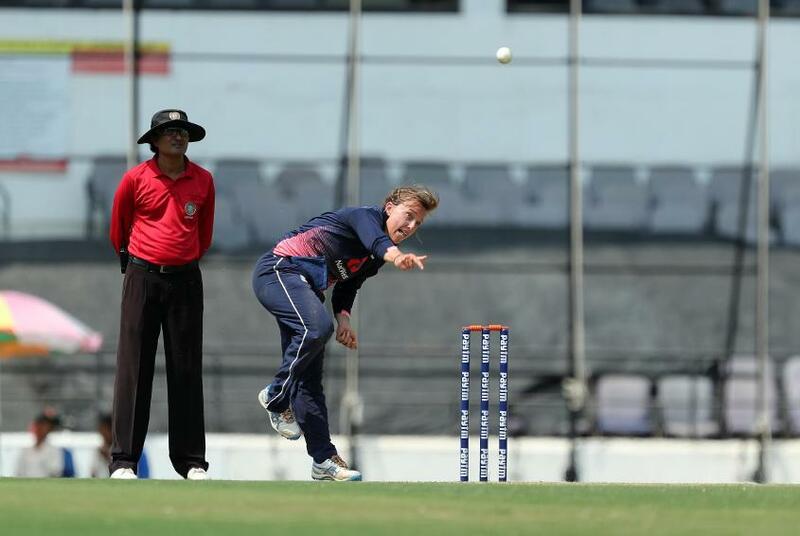 Sophie Ecclestone, the young left-arm spinner with just seven ODIs behind her, rode on a remarkable 4/14 in the second ODI, to go with 4/37 in the first, to leap 51 places to the 45th spot among bowlers early in her career. 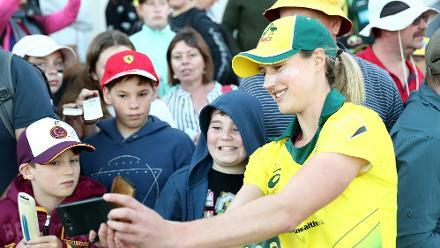 Ellyse Perry continues to hold the top spot among batters as well as all-rounders, while Jess Jonassen is first among bowlers after the latest update.